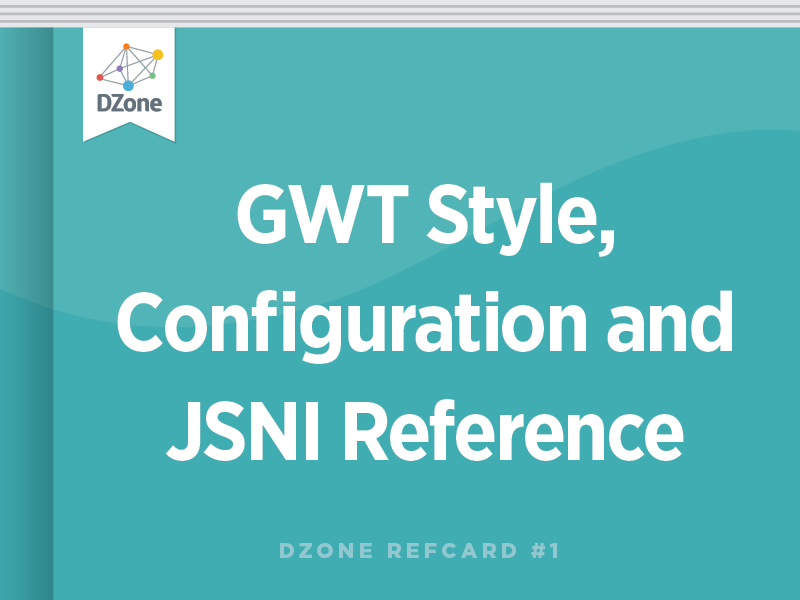 The GWT toolkit comes ready with its own widget library, internationalization tools, image bundling tools, tools for client-server communication, and many others. Since its launch GWT has become an open-source project, and although led by the GWT team at Google, many from the community have contributed patches to the toolkit. GWT boasts a thriving community, proving for a multitude of free widgets, integration tools, and utilities. Styling widgets is done using Cascading Style Sheets (CSS). CSS can be applied to the widgets in the application three different ways. Adding a style element inside the <head> of the HTML page that is hosting the application. Adding a <link> element to the <head> of the HTML page, referencing an external CSS stylesheet. Adding a <stylesheet> element to the GWT project's module configuration, causing the stylesheet to be injected into the host HTML page. Most of the widgets that come with GWT have been pre-assigned CSS class names. For example, the Button widget uses the CSS class name gwt-Button. So you could set the width of all Button widgets in your application by using the following CSS rule. In order to reference a CSS class in a CSS rule you prefix the class name with a period ".". You can programmatically alter the CSS class name used on a widget by calling any of these methods. In HTML you may provide any number of CSS class names on an element by separating them with spaces, like in the HTML snippet below. The primary style name in GWT is defined as the first style name in the class attribute. In the example provided, this would be the style "style1". Calling setStylePrimaryName() allows you to alter this first style. When you add a dependent style name, its name in the HTML is the primary name plus the depende nt name, separated with a dash ("-"). Using setStylename() will clear all current style names, including the primary style name, and adds the one provided. Adds an additional style name to any existing style names. Allows you to remove an existing style name on a widget. Most of the widgets provided by the GWT library have pre-defined primary style names. The following is a list of the default names for each widget. Note: Transformations between clipped and upclipped will result in the loss of any CSS style names that were set or added. A module in GWT is best described as a set of classes that are bound by a single module configuration file. The module configuration defines what classes are a part of the module, what other modules that the module depends on, as well as rules for deferred binding, resource injection, and everything else that the GWT compiler and shell needs to know about your module. A module configuration file is located in the GWT project, with an extension of ".gwt.xml". The location on the classpath and the module configuration file name determine the full module name. For example, if you have a module configuration file named Demo.gwt.xml, in the java package com.gwtsandbox.demo, the module name would be com.gwtsandbox.demo.Demo. The module configuration is only used at design and compile-time, it is not used at run-time. This is a common mistake for new GWT developers. A simple module configuration must inherit the User module and specify a single entry point. The entry point is the class that implements the EntryPoint interface and acts as the starting point for the application. From the basic module configuration you can build on it by adding additional elements to inherit additional modules, change the default source path, add servlet mappings, and add deferred binding rules. If your GWT project needs to reference external GWT modules you must explicitly inherit them in your module configuration. The core GWT libraries are split into several modules, each of which is listed here. You will always need to include the User module, and optionally one or more of the others. By default the source path is "client". So by way of example, if your GWT module configuration file is located at com.example.MyApp.gwt.xml, then the default path of "client" will dictate that your client-side Java source will be located in the Java package com.example.client. *, as well as all packages below this one. You can override the default by using the <public> tag in the module configuration. You may specify multiple public paths if required for your project. You can use the <servlet> tag in the module configuration to define your GWT-RPC servlets. The path specified should be absolute. These servlet mappings are for the benefit of hosted-mode use only, and does not imply that these mappings will be carried over to your production environment. For that you would set them up in the deployment descriptor, just as you would with any other servlet. In some cases you need to write low-level functionality that differs based on the client browser, or you need to trigger a generator to generate code at compile time. For these functions you use deferred binding. Deferred binding allows you to write code to an interface and have the concrete class determined at compile-time. For example, you may be familiar with GWT's RPC mechanism. You use the GWT.create() method to return a concrete class that can serialize and send your data to the server. When this code is compiled the compiler examines the argument passed to the create method, then attempts to match the target class to a set of rules that reside in the module configuration. In this case the compiler rule is specified in the module com.google.gwt.user.RemoteService, which is inherited from your module when using GWT-RPC. This rule states that when the target class of the GWT.create() is assignable to RemoteService, that the generator ServiceInterfaceProxyGenerator is executed. The generator then creates the code and returns the name of the class that should be returned by the create method. The other use of deferred binding is to specify a alternate class to be returned by GWT.create() based on available properties. The most common use of this is to use an alternate class depending on the client browser. The property that can be examined to determine this is "user.agent". For example, the DOM class in GWT is used to perform low-level functions, where the browser implementations can differ. In order to allow for different browsers the following rule can be found in the com.google.gwt.user.DOM module. In the DOM class the following code is used to "create" the correct implementation of the DOM class. When the user.agent property is "ie6" the replace-with rule specified above will return a DOM implementation that is specifically designed for Internet Explorer. The following expression tags can be used within generate-with and replace-with tags. When any of the expression tags within the rule returns a true value, the code generation or class replacement is performed. Returns true when the value of the property matches the specified value. For details on setting properties, see the Setting Properties section. The target class is tested to see if it can be assigned to the specified assignable type. Similar to when-type-assignable, except that the class must be an exact match. Use these expression tags to group other expression tags. The <all> tag implies that all of the tags contained within it must be true. The <any> tag requires only one of the containing expressions to be true. The <none> tag requires that all contained expression tags return false. Property names and their possible values can be defined in the module configuration. Creates a new property and comma separated list of the possible values. For example, you could use the following to define a view property that could be used to define three unique view types for the application. Extends the possible values for a property that has already been defined. Sets the value of a defined property. The value must be one of the possible values as defined by the <define-property> tag or one of the extended values as defined by the <extended-property> tag. You can pass both Java primitives and objects into a JSNI method. The following rules define how Java values are available in JSNI methods and visa versa. JSNI methods that have Java objects passed to them may use a special syntax in order to call methods and access properties of the object. The following syntax is used to call a Java method from a JSNI method. The instance expression is the name of the variable passed into the method, or "this" to refer to the class instance, or blank for calling static methods. The class name is the fully qualified name, followed by double colons and the method name. The parameter signature is a list of the parameter types in the method that you are calling. This is needed in order to distinguish between two Java methods that have the same name but different sets or parameters. The following table defines the codes used to specify the parameter type. L fully-qualified-class ; Java objects. Uses "/" to delimit parts of the package name, e.g. "Ljava/lang/String;"
Types are listed one after the other without spaces. For example, "ZLjava/lang/String;[F" defines the method signature (boolean, String, float). Reading and writing to field on "this"
Most of the widgets that come with GWT have been pre-assigned CSS class names. For example, the Button widget uses the CSS class name gwt-Button. So you could set the width of all Button widgets in your application by using the following CSS rule. In order to reference a CSS class in a CSS rule you prefix the class name with a period \".\". The primary style name in GWT is defined as the first style name in the class attribute. In the example provided, this would be the style \"style1\". Calling setStylePrimaryName() allows you to alter this first style. When you add a dependent style name, its name in the HTML is the primary name plus the depende nt name, separated with a dash (\"-\"). A module configuration file is located in the GWT project, with an extension of \".gwt.xml\". The location on the classpath and the module configuration file name determine the full module name. By default the source path is \"client\". So by way of example, if your GWT module configuration file is located at com.example.MyApp.gwt.xml, then the default path of \"client\" will dictate that your client-side Java source will be located in the Java package com.example.client. *, as well as all packages below this one. The other use of deferred binding is to specify a alternate class to be returned by GWT.create() based on available properties. The most common use of this is to use an alternate class depending on the client browser. The property that can be examined to determine this is \"user.agent\". In the DOM class the following code is used to \"create\" the correct implementation of the DOM class. When the user.agent property is \"ie6\" the replace-with rule specified above will return a DOM implementation that is specifically designed for Internet Explorer. The instance expression is the name of the variable passed into the method, or \"this\" to refer to the class instance, or blank for calling static methods. L fully-qualified-class ; Java objects. Uses \"/\" to delimit parts of the package name, e.g. \"Ljava/lang/String;\"
Types are listed one after the other without spaces. For example, \"ZLjava/lang/String;[F\" defines the method signature (boolean, String, float). Reading and writing to field on \"this\"